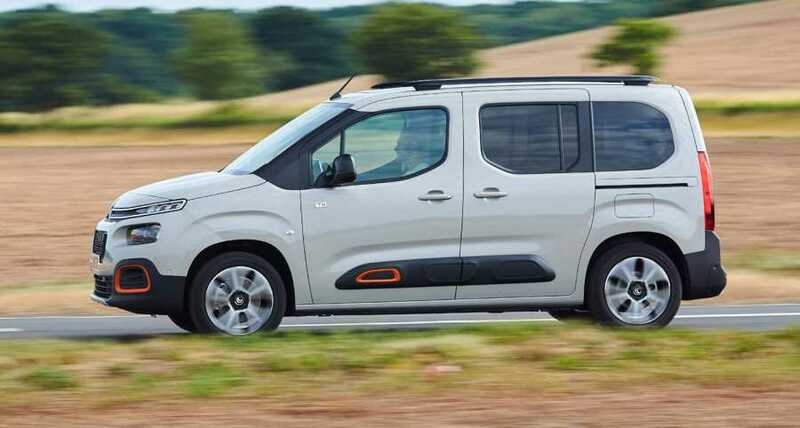 QUIRKY, or to be brutally honest, boxy looks haven’t done much harm to a vehicle that proved last year’s best selling Citroen model in no less than 17 countries. So take a bow the Citroen Berlingo, which has topped more than 100,000 sales in the UK since its launch in 1998. Now into its third generation, the Berlingo has always traded on its combination of outstanding space, practicality and ease-of-use. 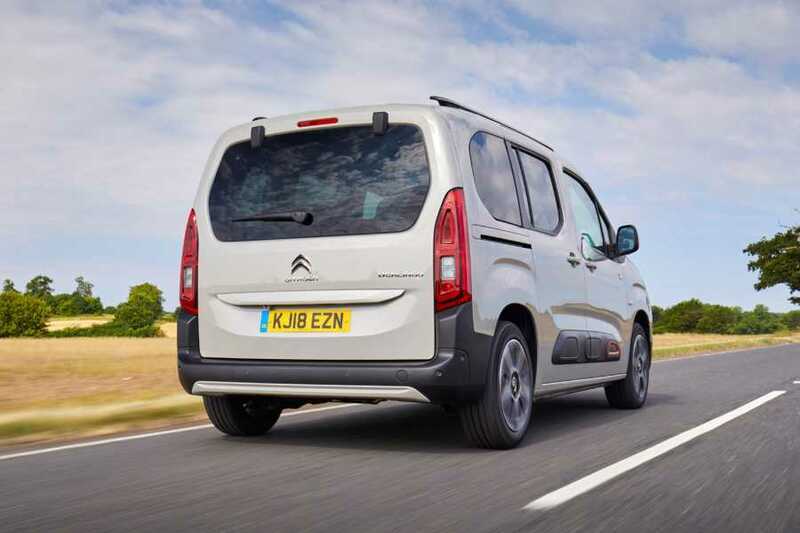 As its French maker is quick to emphasise, it is a perfect illustration of the brand’s ‘Inspired By You’ signature – in a vehicle that is designed with the family at its heart. 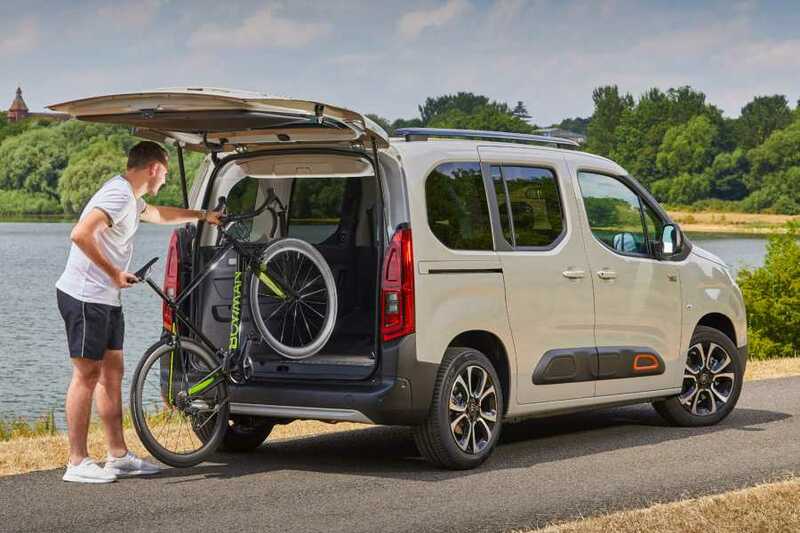 Those modular looks are still there of course, otherwise the new Berlingo has never looked smarter, with a more dynamic silhouette, colour inserts and even that airbump found on the popular Citroen Cactus. Two lengths of body are up for grabs, the standard size M of our tested version measuring 4.40m long, while the new XL size seven-seater is 35mm longer. Whichever you go for, and there’s a £1,660 discrepancy between the two, the interior space and storage is both clever and practical. Bright thanks to a large panoramic glass roof, which can also be concealed with an electric blind, the cabin and stowage area is easily accessed via two sliding side doors and opening tailgate window. 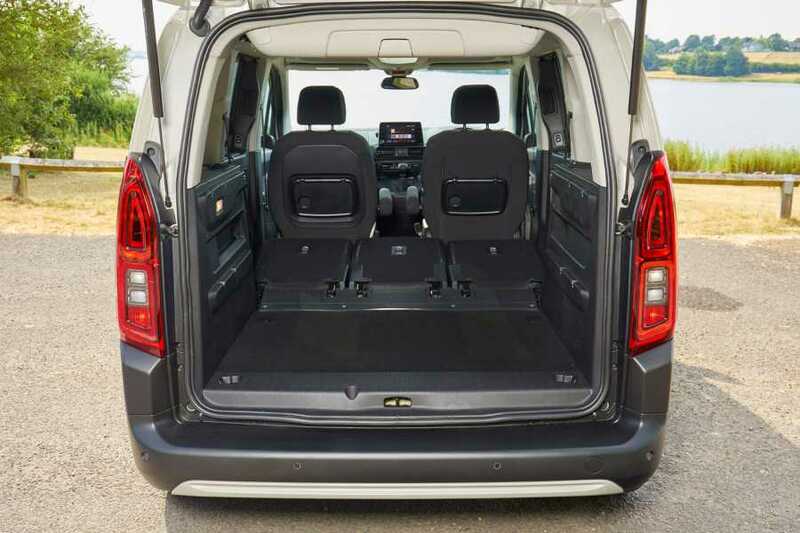 Flip down the individually folding rear seats – creating a completely flat floor – and the boot volume of the medium-sized Berlingo M is as much as 775 litres. That’s not all though as some secret underfloor compartments, a lit airline-style overhead storage rack, twin gloveboxes, wide door bins and a drop-down locker above the boot ensure there’s no shortage of hidey holes. Owners can choose from a 1.2-litre PureTech petrol unit with 110 or 130bhp plus a selection of frugal BlueHDi diesels with 75, 100 or 130bhp. There’s also the option of an eight-speed automatic gearbox rather than the standard five-speed manual. Our mid-range 100 diesel wouldn’t win any prizes for acceleration but it’s nonetheless a strong unit and one capable of returning close on 55 miles per gallon even in predominantly urban conditions. 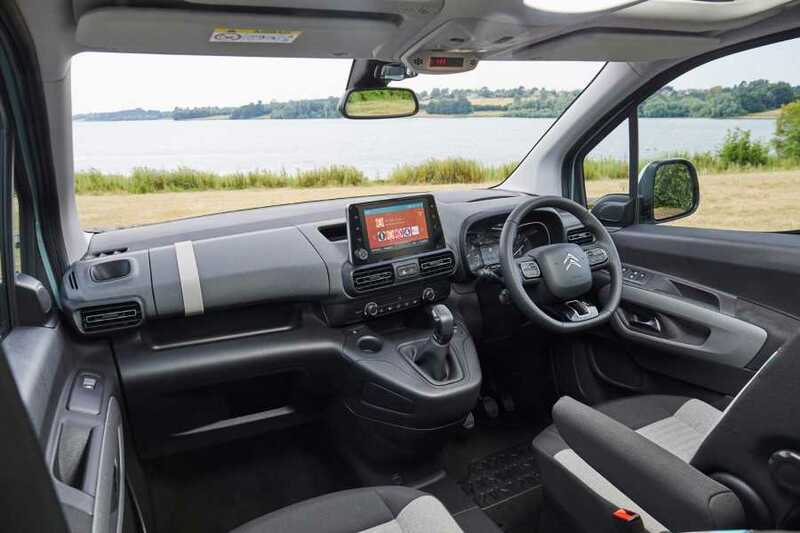 Getting safely from A to B rather than exhilarating dynamics is the priority and to that end the Berlingo does exactly what it says on the tin – in an airy and comfortable, if sedate, manner. There’s also plenty of safety kit, the likes of cruise control, tyre pressure sensors, active lane departure and hill start assist all standard, though you have to pay an extra £200 for rear parking sensors on entry grade Feel trim grade. You also get a touchscreen infotainment system with built-in navigation or the ability to connect to Apple CarPlay or Android Auto, and there are some cool colours up for grabs too. They include the tested model’s Aqua Green – even if it does look more like a sky blue. And a worthwhile £300 investment is the optional Family Pack of a Modutop glass roof with storage, gloss black roof bars and a smartphone charging plate. MODEL Berlingo BlueHDi 100 Feel. PERFORMANCE 0-62 in 13.4 secs, top speed 112mph. ECONOMY 58.9mpg Urban, 70.6 Extra Urban, 65.7 Combined. PRICE £19,600 on the road. Previous story Honda Jazz – rinsing the blues!